Peter Crathorne, the Chairman of Henley Youth and Community Centre, writes optimistically about the youth provision. After 4 years of raising money, planning and designing, the young people of Henley SK8 CRU have finally built the first stage of their Skate Park Plan. It is now in use every evening and at the weekends groups of young people meet up and engage in productive activity, away from the High Street, the church and the shops. But this is only a start. We plan to build a shelter, to surround the area with our art. We also have a plan to double the size of the tarmac area and put in more ramps and jumps. Working alongside the Youth Club, opportunities have been developed to bring more young people into the club. Attendances have increased, now averaging 25 to 30, three nights every week in term time. The range of activities has expanded. As well as using the skate area regularly, 16 youngsters have been undertaking a pre-driving course, 6 more a rock climbing course and a dozen have worked with a professional artist to create impressions of life in Henley. This will enhance the skate area with themes representing young people’s aspirations and enjoyment of life that will adorn our special place. The interaction between the SK8 CRU and the youth club is beginning to bring positive outcomes for young people and in the longer run the town should see a reduction in vandalism and anti social behaviour. It was confirmed recently that the number of reported incidents involving young people of the town has reduced. The Youth Club and the SK8 CRU are encouraged but not complacent. There are still key groups which have yet to be fully engaged in the processes outlined above and discussions are taking place with the Youth Service and members of the community to develop strategies which will further improve the situation in the town. Residents can help by reporting every incident to the police, where possible identifying the culprits and this can be done in a way that protects identity. You can contact the youth club (794240) or me, The Chairman of the Youth and Community Centre Management Committee (795470). There is a lot to celebrate. 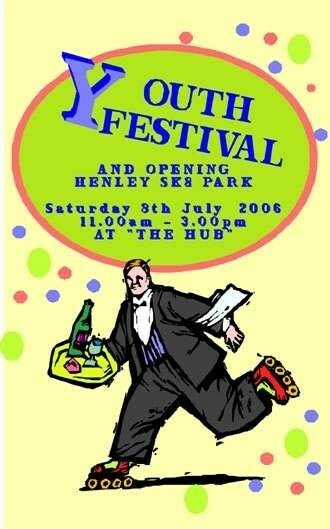 We hope that the community of Henley will come together on Saturday 8th July between 11.00am and 3.00pm to see what’s on offer for young people in Henley. You will be surprised how much there is to do. The formal opening of the Skate Park will be at 2.00pm. 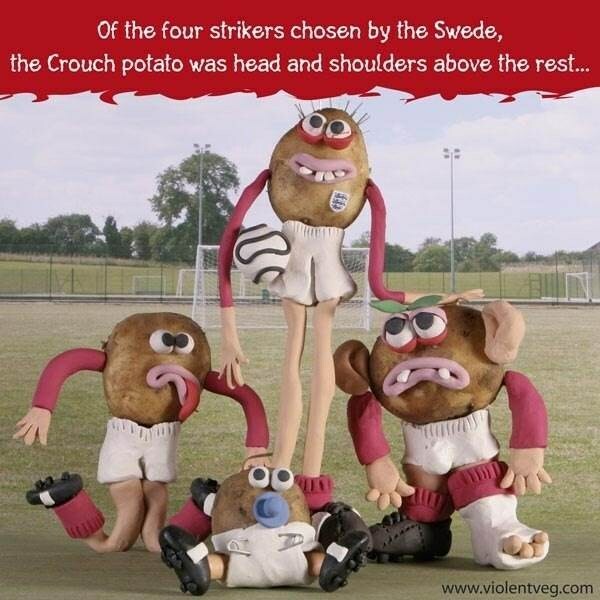 The Chairman of the Stratford District Council has promised to try and be there. You will have a chance to meet the young people who have been undertaking the projects and see them receive their awards. 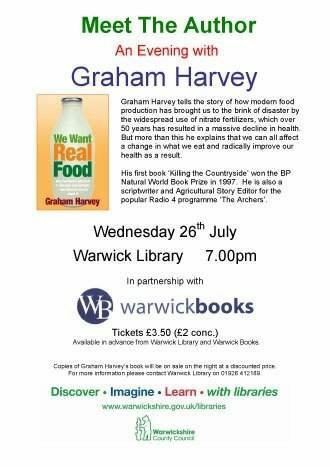 This will be a great day for the youngsters of Henley. I read somewhere that in Africa, some cultures believe that it takes a whole village to raise a child successfully. Come along on Saturday 8th July and help us prove that our village believes that too. 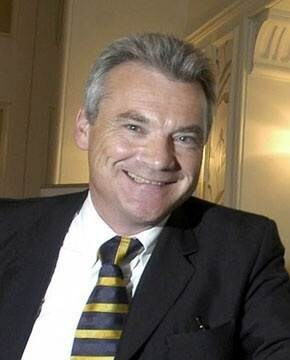 John West, Headteacher of Henley High, told parentents by letter that Ofsted, the Schools Inspection Agency, has announced an inspection of Henley High on Thursday and Friday 28th/29th June. Over 200 people attended the ST JOHN'S FETE on Saturday 24th January 2006 and £1,500 was raised for Church funds. The duck race on the river Alne is always a firm favourite and the children also loved the coconut shy, skittles and the face painting. Everyone enjoyed tea and home made cakes and the opportunity to buy such cakes,bric-a-brac, books and plants and to chance their luck on the raffle and tombola. Even the barrel organ at the gate attracted donations. Our thanks to all the helpers and contributors. Henley NEWS On-line's photographers John Love and Bill Leech recorded the event and have produced a special slideshow. Henley NEWS On-line is actively supporting the JPC's Henley Photographic Competition. 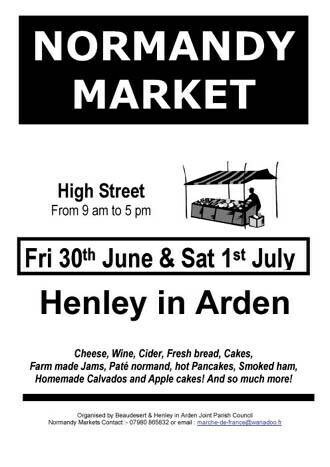 The competition, which is only open to residents of the town, is for photographs portraying ‘Henley-in-Arden’. There are two categories, a children’s competition for young people up to 15 years of age and an adult competition. Remember all entries have to be received at 150 High Street by 18th August 2006. The Competition will be judged by Stuart Rowen, a professional photographer based in Wootton Wawen and the results will be announced in Henley NEWS On-line. The winners will receive £20 worth of Marks and Spencer’s vouchers, or £20 of GAME vouchers (Children’s entry winner). GOOD LUCK to all our Readers and please send us a copy of your entry. Alors ... the Eiffel Tower, Moulin Rouge and Montmarte, Sacre Couer and sacre bleu! Joe Hardy stormed the Bastille for the Royal Reception XVI, a magic carpet ride from London to Paris, the city of lights and sights, this past weekend. Ever since Joe purchased the title of Lord of the Manor of Henley-in-Arden, a wee village in England, he has marked the event every year with a fete attended by dukes, duchesses, barons and baronesses. Titled or to the manor bought, they're all Joe's friends and, as such, are pomped, circumstanced and feted. Royally. As were the 450 swells who romped at Nemacolin Woodlands Resort & Spa, his palatial playground in the Laurel Highlands. Philanthropist, Fayette County commissioner and founder of 84 Lumber, Joe has raised the bar on pampering, haute cuisine, championship golfing, art and entertainment. 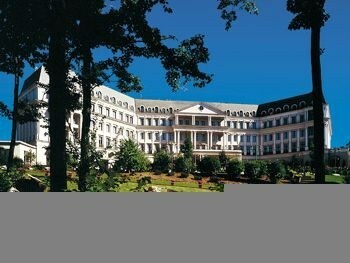 Because his idea of gracious living means fit for a king, Nemacolin has won every award and star in the industry. Friday began with a private reception in Joe's art-filled abode as Maggie Hardy Magerko (with Pete), the power behind the throne as prez of Nemacolin and 84 Lumber, joined her father to graciously welcome guests as they were, oyez, announced by the town crier. Le hands down, stunning Maggie turned every head in a sleek red strapless column and a suite of sparklers. Guests were whisked back to an exquisite English country garden setting whose piece de resistance was a pair of stilt-walking vine mimes who gracefully led us into a magnifique three-story pavilion for the sumptuous wine and dine that followed. Every dish served, and thousands came through, was superb. While lavish table settings changed with each sitting, as did the royal bouquets by Neubauer Flowers of Uniontown. Showtime brought dreamboat crooner Harry Connick Jr. and his 14-piece New Orleans band to center stage for a cornucopia of musical joy. Fresh from his fabulous triumph on Broadway in "The Pajama Game," his jazzy riffs on the grand piano, the size of Maggie's diamond pendant, had the blissed-out audience on their feet yelling for more. Saturday morning and Old Glory teamed with the Union Jack to fly over the Royal Procession and the brunch that followed with Nova Era's classical vibe. Lord of the rich and famous, Robin Leach, emceed over the festivities, as he has done for all 16 of the parties Hardy. Black-tie was the dress code for the really big party, and the damsels looked like French pastries. The setting had changed to Cafe Moulin Rouge, with servers in berets and striped shirts proferring flutes of bubbly and fluted hors d'oeuvres. In the ne plus ultra department, huge baroque frames floating overhead flashed Parisian scenes. The Nemacolin Collection staged a stunning fashion show through dinner that also showcased acrobatic performances by Cirque Royale and, mais oui, a finale Can Can! Then Earth, Wind & Fire blasted us out of our over-fed reverie with a spectacular repertoire of soul, rock and pop. A portion of reception proceeds will benefit the Penn State Dance Marathon (THON), the nation's oldest student-run philanthropy that supports pediatric cancer care at Penn State Children's Hospital in Hershey. Hear ye and peek ye at the guest list. The Hardy clan: Shirley and Joe Hardy IV, Bonnie and Paul Hardy, Todd Hardy and Steve Pringle, Bob and Robin Hardy Freed, Kathy Hardy Drake, and Tammy and Alex Hardy; Lord Peter Palumbo; Lori and Kevin Maloney; Gary and Vickie Morrell; Cate and Mike Linn; Jane and Bill Conover; Veronica and Lou Guarino; Patty and Dr. John Martinelli; Patty and Bill Snoddy (celebrating their 46th anniversary!) with Shelly Snoddy and Jim Parey; Lisa and Bob Pompeani; Lou Haddad; Mary Jean and Jeff Nobers; Monsignor Ed McCullough; Marie Martin and Becky; Nancy and Chris Spina; Drs. Lisa Cibik and Jack Kraus; Bob Davis; Catherine and Richard Frontz; and Gretchen and Christopher Corrado. Also practicing their royal waves were Joe Ferens; Lynelle and Chip Young; Whit Snyder and Lauralee Zelesnak; Jeff Nanni of "Capitol File"; Carol and Dr. Corrado Cataldo; Debbie and Gordon Giffin; Cameron Neth; Jean and Bill Hauber; Ruth and Stan Lefkowitz (marking his 75th b-day! ); Debra and Dr. David Murello; Linda and Russ Nairn; Rebecca and Jim Wessel; Ann and Stan Bell; Kay Maghan; Judy and Jim Gladieux; Lisa and Mox Irmscher; Alexis Odachowski and Greg Morrell; Susan and Paul Read; Lorie Golden and Tuffy Shallenberger; Edith Hughes and granddaughter Faith Collins celebrating her 15th b'day; and Henley-in-Arden High Baliff (mayor) Douglas Bridgewater and wife Susan. 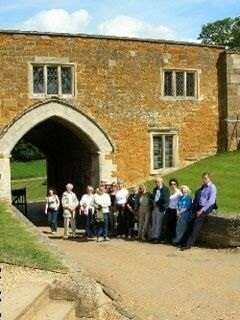 On Tuesday 20th June, a coachful of members of the Henley & Beaudesert Civic Society spent a very happy day at Rockingham Castle in Leicestershire. The weather was fine. The party split into two groups for private tours of the buildings. The guides were excellent. We learnt how William the Conqueror commanded the building of the first motte and bailey castle 900 years ago. For 450 years it was used as one of many fortified palaces around the country, falling into disuse in the reign of Henry VII in the late 15th century. Sometime later the Watson family bought the estate and restored it, since when it has been a family residence. The Watson family still live there. In the Civil War the castle was besieged and fell to the parliamentarians, who destroyed the motte completely before they eventually left; they did not want the Royalists to use its fortification against them again. There is now a rose garden on the site, with formal yew hedges marking the position of the old walls. In Victorian times Charles Dickens was a friend of the Watsons and frequently visited and corresponded with them. Bleak House was dedicated to the Watsons. There is a leather arm chair that was Dickens’ favourite one and letters to and from Dickens. In response to Dora Heaths letter on the so called bench debate - I was very keen to have the bench removed. I live on Henley High Street nowhere near the bench but I feel very strong about what young children should be subject to. I frequent Henley Mount with my daughter and most often would have to put up with thugs and drug taking youths. I never saw old and infirm people sitting on the bench only young idiots who were loud and obnoxious. To the people who do live by the Mount I expect it was a welcome removal and I will support any attempt to stop the replacement of the bench for drug pushers and loud mouths. To Mrs Heath - As you do not live by this problem I think you should be a little more sensitive and stop winding the situation up. JAZZ IN THE GARDEN...TICKETS SOLD OUT! Marijana Bainbridge reports on the preparations for this very popular event in the Henley Social Calendar. 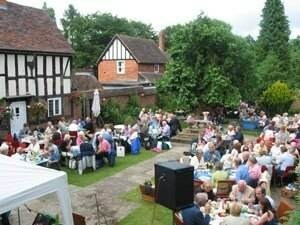 Jazz in the delightful setting of the Guild Hall Garden is in its 10th year and gets better each time. We are very lucky as we are able to call on the services of The Ad Hoc Jazz Band, who for years we called a quartet, but those of you who have seen them, know that in fact there are 6 in the band and two great singers. Each year the band has been sponsored by John Earle and Son and Lodders which helps make the evening a great fund raiser for the Memorial Hall. After supper those who want, can dance and the rest sit and enjoy the music and the wonderful atmosphere. For the last two years we have finished off with fireworks. Only once have we had to move inside because of bad weather,usually we have been extremely lucky and had warm evenings. Please keep your fingers crossed for another balmy summer evening on Saturday1st July. French Market from Normandy arrives this weekend! 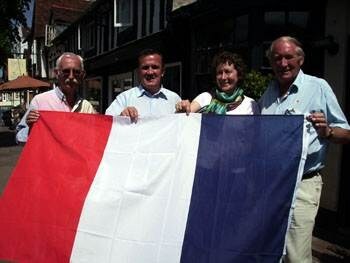 Further to the great success they have in other parts of Great Britain, and more recently in Abingdon and Faringdon, the French Market team “Marché de France” is set to arrive in Henley in Arden this weekend. Oui! The French are coming! Organised in partnership with Beaudesert & Henley Joint Parish Council, it is intended that the market will attract many visitors to the town from the local and surrounding areas. This should benefit all the shops, bars and restaurants thanks to the increased footfall, and give a totally different French atmosphere to the town. Le Marche de France will set up their stalls along the High Street on Friday 30th June and Saturday 1st July. The market will consist of over twenty four genuine traders from Normandy. There will be a magnificent cheese lorry with a truly enormous selection of French cheeses from Normandy and many other regions of France along with the Charcuterie with wonderful sausages and salamis. Of course, the bread stall, with its wonderful varieties of bread baked on site will also be part of the market as will be a magnificent stall offering three types of Cider, Real Apple juice, Calvados and Pommeau which are made from delicious Norman apples. Other goodies to eat and drink will include olives, wine from a French producer, smoked ham, Pont l’évèque and Livarot cheeses, Pâté normand, sweets, honey, duck and goose products, cheesecakes and, of course, garlic! For those with a sweet tooth there will be wonderful farm made jams and homemade apple and calvados fondant cakes, pure butter biscuits and the hugely popular crepes stall and for those with a small space left, the sweet stall will also be making fresh pralines on site. Don’t however be fooled into thinking there’s only food, wine and cider, also displayed for your shopping pleasure will be soaps from Marseille, lavender, Provencal Tablecloths …and more! At last, here is a way of enjoying a touch of France right at your doorstep. So come and browse, and get a chance to taste lovely French products, as well as practise your French. Traders will also be happy to chat in French with you if you feel like trying and to add to the ambience of the occasion there will be regular live French music along the high street. Alongside the Normandy Market there will be an evening recreating the "Spirit of Piaf". Chanteuse to drug addict to lover extraordinaire, Piaf's life was full of passion and contradictions. Troika Productions proudly presents this tribute to the life of the famous French diva known as "The Little Sparrow" ... the one and only Edith Piaf whose spirit is lovingly restored in this unique tribute with live backing. Spirit of Piaf evolved from Troika's production of Piaf by Pam Gems which received critical acclaim at The Edinburgh Festival Fringe and thereafter on tour. Performances take place in the Memorial Hall on Friday 30th June at 8 pm and Saturday 1st July at 4 pm. Tickets from John Love at the Vanity Box. We were born before television, before penicillin, polio jabs, frozen foods, photocopying, plastics, contact lenses, videos, computers, frisbees and the Pill. We were before credit cards, split atoms (nearly), laser beams and felt tip pens, before dishwashers, tumble dryers, electric blankets, duvets, air conditioners, and hair conditioners, anti perspirents, and before man walked on the moon (if he ever has I still think it was filmed in a big shed). We got married first and then lived together (how quaint is that). We thought fast food was what you ate during Lent, a Big Mac was an over size raincoat, and crumpet was what we had for tea. We existed before house husbands, computer dating, dual careers, and when the meaning of a meaningful relationship was getting along with your cousins, and where sheltered accommodation was where you waited for a bus, and we were before day centres and disposable nappies. We never heard of FM radio, digital TV, satellite dishes, tape decks, electric type writers, word processors, artificial hearts, yoghurt and young men wearing earrings. For us timeshare meant togetherness, a chip was a bit of wood or fried potato, hardware meant nuts and bolts, software wasn't a word, and a digi box was a finger bandage. Made in Japan meant junk, making out referred to how you did in exams, a stud was used to fasten a collar, and going all the way meant staying on a double decker bus to the terminus. Pizzas, Macdonalds, Kentucky fried were unheard of (and should have stayed that way). In our day smoking was fashionable, grass was mown, coke was kept in the coal house, a joint was a piece of meat you had on Sundays if you were lucky, and pot was what you cooked in. Hip hop was a game, a gay person was the happy life and soul of the party and nothing more, and camp was when you went on holiday in a tent. These and many more things add up to just one thing. We, who were born some time ago must be a hardy bunch when you think of the way the world has changed and the adjustments we have had to make. We may be confused, there may be a generation gap, our bulls$$$ threshold may be very low but by hell we have SURVIVED. All nine of Warwickshire’s recycling centres are for the first time accepting plastic bottles. Judkins in Nuneaton has joined centres around the county in allowing people to recycle the PET (1) and HDPE (2) plastic bottles. PET are pop bottles such as coke and lemonade, and HDPE refers to opaque bottles such as milk and detergent. When recycling bottles people are asked to wash and squash bottles to prevent smells and help with storage. The bottles go to various contractors depending on sites and HDPE is recycled into a variety of items such as pipes and toys, while PET is recycled to make clothing, such as fleeces and hats. 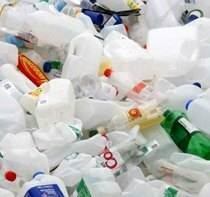 Cllr Martin Heatley, Warwickshire County Council’s Cabinet member for the Environment, said: “This is great news for the people of Warwickshire giving everyone access to facilities to recycle their plastic bottles. Warwickshire’s nine recycling centres are based at Grendon in North Warwickshire; Judkins, Nuneaton; Princes Drive, Leamington Spa; Cherry Orchard, Kenilworth; Burton Farm, Stratford upon Avon; Stockton, Rugby; Shipston, Stratford upon Avon; and Wellesbourne, Warwick. The Grumpy old man would like to make 2 comments following this week’s edition. ID cards, who cares if I withdraw more than £100? Who cares If I have a bottle of wine in a restaurant? Who cares if the ‘NIR’ has my fingerprints? If anyone does get the information stored about me what will they know? All of this is relatively harmless and probably known and stored somewhere anyway. At least if it is on a central database we will all have access, if we want it, to our own records. The only people ‘frightened’ of ID cards are those with something to hide! Nigel Hastilow’s column. At last someone has written what the silent majority are really thinking, well done Nigel! Why do we have to apologise for trying to keep our streets safe? As an example, at airports we are all searched in some form or another, from the luggage x-ray up to full body searches (in some instances) do we demand an apology when they find nothing? No of course not the guys at airports are doing their jobs to keep us safe. I think the police do a difficult job, one I would not do. So when they get a tip of they must follow it through. Anything suspicious must be followed up, from unsavoury characters loitering in the early hours to suspected terrorists and potential bomb factories. Also I do believe in free speech so these unsavoury preachers should be allowed to speak, but I do wonder at the mentality of anyone prepared to listen to such propaganda. Surely the police should look at the audience in a different way? This week the leaders of eight local authorities in the West Midlands will meet various other bigwigs and quangocrats earnestly to set up a new mega-council. The mega-council will officially be called a “city region” and, for now at least, it will have no power, no democratic standing and not much money. It will also have no name. It will get a name, eventually. It will be called anything but what it should be called. If it ever comes into existence, then it will be Greater Birmingham because it will be based there and it will be at the centre of the “city region”. But the seven councils which are not the City of Birmingham won’t stand for that. They are resolved that it will be called Anything But Greater Birmingham. The compromise they have come up with is to call this new mega-council The Heart of England. I tried this name out on a friend the other day. He said he thought Nottingham was the Heart of England because of Robin Hood, so clearly the name doesn’t exactly resonate. Even so, the title “The Heart of England” will not be a first, for several reasons. One, The Heart of England is the name of the local tourist board. Two, it’s a name given to everything from bed-and-breakfast businesses and car repair workshops to cafes and widget manufacturers. Three, it will not be the first “city region” in the entire world not to be called after the main town or city it’s based on. It will be the second. The first is Silicon Valley in California. Sadly for the quangocrats who are even now thrashing out the compromise name, Silicon Valley is a different proposition from Anything But Greater Birmingham. Sadly, Silicon Valley didn’t need marketing men and logos to put it on the map. It grew naturally out of the huge IT industry which developed there. There was no need for some artificially-constructed quango to justify its existence. And it’s only been going since 1971. Before then it was mainly orchards and called The Valley of Heart’s Delight. Everyone knows that names matter. Politicians pretend there are bigger fish to fry. They say the question has to be shelved while they thrash out what the “city region” is actually for, what powers it might have and who would run it. But we all know Sandwell Council was hamstrung from the word go by the fact that nobody could agree whether it should be called Smethwick or West Bromwich. In the end they settled for neither and now, even people who live there, don’t know where on earth Sandwell is. The same will apply on a bigger scale to The Heart of England City Region. Which tends to demonstrate what a waste of time it is anyway. People get terribly excited by it, claiming the entire West Midlands (another name nobody can point to on a map) will somehow lose out if we don’t get this latest quango. But if the leaders of Walsall, Sandwell, Dudley, Woverhampton, Coventry, Solihull, Birmingham and, strangely, Telford can’t even agree on a sensible name, why should they agree on anything else? We’ve only got city regions anyway because the Government can’t resist “reform” for reform’s sake. When the Government failed to persuade the people of Tyneside to vote for a regional assembly, Ministers cast around for some other way of imposing it us all anyway. And they came up with City Regions. The White Paper setting out the scheme was promised for the spring. It’s now been down-graded to a Green Paper due in the autumn. Yet our councils have appointed ex-MEP Simon Murphy on £90,000 a year to “deliver the vision” for a council. What’s the attraction? A £750 million-a-year budget and the chance to raise even more new taxes (but mainly on businesses, which don’t vote and therefore can’t complain). It wouldn’t be so bad if they got rid of some other tier of Government – maybe the eight councils, or Advantage West Midlands or even the least accountable quango of them all, the Government Office for the West Midlands. But they won’t. Instead our leaders are solemnly convening a meeting of an organisation which doesn’t exist, which nobody has been asked if they want, and which will get a name which means nothing to anyone. Perhaps it should be called Wonderland. Overnight between 17th and 18th June 06 unknown offender/s have broken into a dwelling in Kington Lane, Claverdon by forcing a 1’ x 2’ top opening window. Once inside the property they have made an untidy search of the ground floor. They have then stolen a Dell Desktop and laptop computers along with a 17” LCD monitor, a Acer 17” LCD monitor, a digital camera, an unknown make desktop computer, a Hewlett Packard printer, along with several items of silverware from the dinning room area. The offender/s have then taken the house and car keys. They have then left taking the new Range Rover supercharged vehicle from the drive. During this incident the house owner and children were asleep upstairs. Incident number 200 of 18th June 06 refers. Between 2200 hours 7th June and 1330 hours 10th June 06 unknown offender/s have forced a small window to a building on Malthouse lane, Earlswood to gain entry. Once inside the offender/s have smashed open a charity box and attempted to gain entry to a secure cupboard. Incident number 421 of 10th June 06 refers. Between 8th and 9th June 06 unknown offenders have entered the rear garden to a property in Edstone, Wootton Wawen via two insecure gates. The offender/s have then approached 3 insecure wooden stables and stolen from within a hard wood steamer chair, a rubber rack and Wilkinson sword edge clippers. Incident number 107 of 19th June 06 refers. In the week prior to 20th June 06 unknown offender/s have gained entry to three stables in Earlswood Common by smashing off the padlocks. They have then stolen a white coloured 80cc Yamaha motor bike and a white coloured 100 cc Yamaha motor bike from within. Incident number 185 of 20th June 06 refers. Between 1800 hours 21st June 06 and 0900 hours 22nd June 06 unknown offender/s have gained entry to the rear garden of a property on Broad Lane, Tanworth In Arden via a gate leading from the golf course. They have then forced the padlock of the shed door to gain entry to the wooded garden shed and stolen a Karcher pressure washer and a Mountfield petrol strimmer from within. Incident number 133 of 22nd June 06 refers. Overnight between 9th and 10th June 06 unknown offender/d have caused parked and unattended Nissan Micra in Pettiford Lane, Wootton Wawen to leave the roadside (lay-by) and have forced it in to the ditch. Incident number 271 of 10th June 06 refers. Between 1900 hours 12th June 06 and 0830 hours 13th June 06 unknown offender/s have approached a secure and unattended BMW X5 parked outside a dwelling in Danzey Green, Tanworth in Arden. The offender/s have then smashed the rear window, reached in a stole a set of golf clubs. Incident number 117 of 13th June 06 refers. At approximately 0240 hours on 15th June 06 two unknown offenders were seen to approach a parked unattended Toyota Avensis in Beldesert Close, Henley in Arden. They were then seen to smash the rear windscreen and remove a black bag from within before running off. Later it was discovered the bag was containing a laptop computer, Overhead projector and other electrical items. The males seen were dressed in black. Incident number 39 of 15th June 06 refers. At approximately 1815 hours on 19th June 06 unknown offender/s have stolen a Hazelwood single axle trailer from outside a property in Wootton Wawen. The trailer was carrying a red coloured ride-on lawnmower. The trailer was seen to be towed away on a black coloured saloon vehicle. Incident number 547 of 19th June 06 refers. Sometime prior to 1700 hours 20th June 06 unknown offender/s have forced the lock to a parked secure and unattended VW Passatt vehicle at Bulls Head, Wootton Wawen. This has activated the central locking and the electric windows. Nothing stolen, brief case and wallet left on the back seats. Incident number 482 of 20th June 06 refers. Between 2000 hours 15th June 06 and 0700 hours 16th June 06 unknown offender/s have interfered with plant pots on High Street, Henley in Arden. Incident number 358 of 16th June 06 refers. Between 1400 hours and 1415 hours on 15th June 06 unknown offender/s have approached a house under renovation in Langley Road, Claverdon and have stolen a ½ ton trailer from the site. Incident number 373 of 15th June 06 refers. Between 0100 hours and 1130 hours 17th June 06 unknown offender/s have stolen a 5’ tall Bay Tree from outside a business premises on High Street, Henley in Arden. Incident number 311 of 17th June 06 refers. Making cans from recycled aluminium uses less than 5% of the energy needed to make them from aluminium obtained from its ore. This makes recycling aluminium cans really, really worthwhile! Recycling steel cans is also really worthwhile because there are a lot more of them to recycle. So all cans into the black boxes for recycling please. It takes about 83 kilowatt hours of electricity to make a kilogram of aluminium from its ore bauxite so, obtaining aluminium by recycling saves about 79 kilowatt-hours per kilogram recycled. This means that recycling just 1 aluminium drinks can weighing only 15 grams (about half an ounce) saves 1.2 kilowatt-hours which is enough to power a low energy light bulb for four days or an ordinary 60 watt bulb for about 20 hours. If all the 5 billion aluminium drinks cans used in the UK every year were recycled, over half annual output of a small power station could be saved. Making aluminium from bauxite uses so much electricity that it can only be manufactured economically where power is extremely cheap ˆ usually hydroelectricity. If this hydro electricity were not used for aluminium it could be used to displace fossil fired electricity and save enormous quantities of Carbon Dioxide with consequent reduction in global warming. Recycling steel cans also saves lots of energy. Although the energy saved per can is about half that of aluminium, we use nearly three times as many steel cans as aluminium ones so recycle steel as well as aluminium. The combination of recycling all our steel and aluminium cans in the UK would amount to saving nearly all the power from a typical large power station. Information about the Beaudesert and Henley-in-Arden Joint Parish Council is regularly updated on the Henley Gateway Website "This is Henley-in-Arden". Look no further than www.henley-in-arden.org/jpc for the latest and most comprehensive information about the JPC. Miss Mary Bloxsome of Loxley Close, Wellesbourne has been successfully prosecuted and fined £300 after several of her lambs were discovered dead and dying. Warwickshire County Council Trading Standards Service brought the prosecution. A Trading Standards Animal Health Officer, acting on information received from DEFRA (Department for Environment, Food and Rural Affairs), visited a field in which Miss Bloxsome kept a number of sheep of different breeds located in Alderminster nr Stratford upon Avon on 22nd November 2005. Three Jacobs cross lambs had been discovered in the field. Two of the lambs were found dying and the other was already dead. There was no grazing in the field, a single food container contained a small amount of sugar beet nuts but these smaller Jacobs cross lambs could not reach the hay in the hayrack. The DEFRA vet who was also in attendance found the two living lambs to be emaciated and close to death. These two animals were euthanased humanely. A post mortem revealed that the three lambs all had heavy worm burdens. They would have taken weeks to arrive at the poor physical state they were in and a competent stock person would have noted the progressive weight loss and failure to thrive and would have taken steps to remedy the situation. Anthea Davies, Assistant Head of Warwickshire Trading Standards Service said: “Farm animals must be properly cared for throughout their lives; it is not enough simply to put them in a field and leave them to fend for themselves. We will investigate all cases where the welfare of such animals is brought into question and livestock keepers will end up in court where appropriate. In some cases court action could result in a ban from keeping livestock as well as having a fine to pay." In the case, brought by Warwickshire Trading Standards Service, at Leamington Magistrates Court on 22nd June 2006, Miss Bloxsome pleaded guilty to one summons under the Agriculture (Miscellaneous Provisions) Act 1968 of causing unnecessary distress to 3 Jacobs cross lambs. In mitigation Miss Bloxsome sent in a letter to the Magistrates in which she apologised for having allowed the animals to suffer. She stated that she had now bought a different sheep feeder and had befriended a local farmer who could help her if she was in difficulties. The Magistrates fined Miss Bloxsome £300 and ordered her to pay a contribution of £200 towards the Prosecution's costs. They stated that their starting point was a community penalty but had taken into account Miss Bloxsome's guilty plea and personal mitigation and the fact that she had no previous convictions. The fine was much reduced because of her financial circumstances. CHURCH FETE will be held on Saturday 24th June in and around the Church Hall, Beaudesert Lane from 2.00pm. All the usual activities. 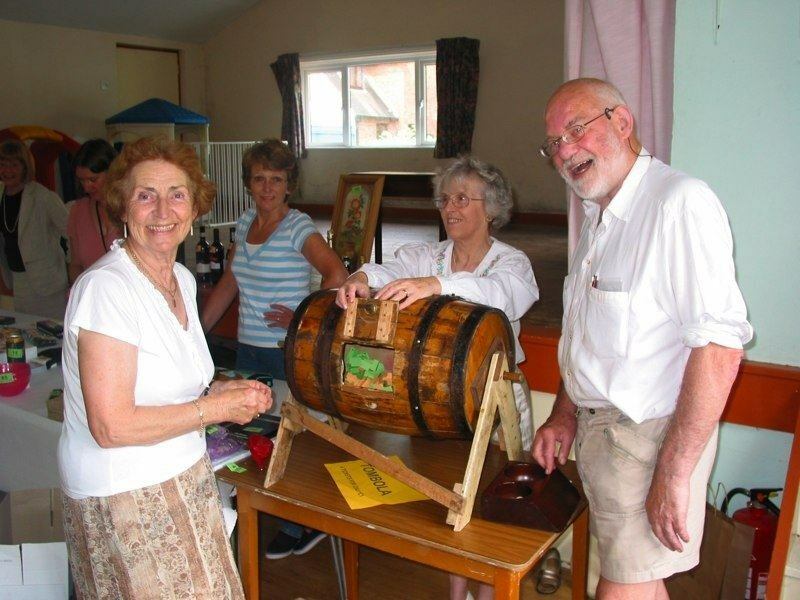 Come and enjoy all the delights of a traditional village fete. 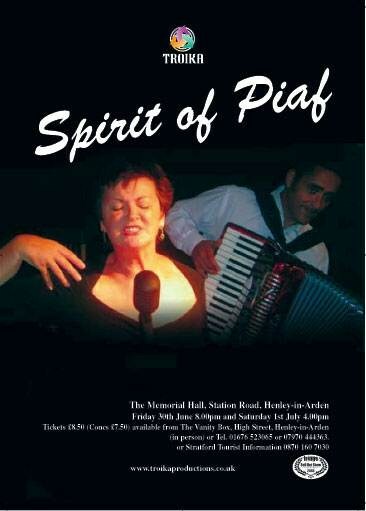 SPIRIT of PIAF organised by Beaudesert & Henley in Arden Joint Parish Council on Friday 30th June and Saturday 1st July. Tickets from the Vanity Box. JAZZ IN THE GARDEN. This annual event will take place in the Guild Hall Garden on the evening of SATURDAY 1st JULY. Bring your own picnic and listen or dance to THE AD HOC JAZZ BAND. Tickets are £10.00 and include Fizz and strawberries. Tickets, which are likely to sell out very quickly, are on sale at the Vanity Box or phone Marijana Bainbridge 793539/ 794987. Proceeds go to Memorial Hall Funds. HENLEY-IN-ARDEN EVERGREEN CLUB . Meetings are held on the first Wednesday of the month in the Parish Hall, Beaudesert Lane at 2.15 p.m. 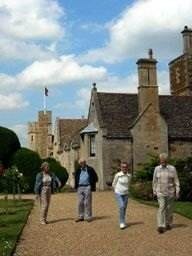 The Club has around 80 members and organises a varied programme together with various outings. If you are interested in joining, please contact Gordon Trinder. HENLEY-IN-ARDEN WI Brenda Brewer is coming to give her talk “My experiences as a Rep in Cyprus 2002/2003” at our meeting on Tuesday 4th July in the Memorial Hall from 7.30 p.m. Visitors are welcome to join us and will find out about all the activities available through the W. I. Our activities are very varied and there should be something to appeal to everyone. HENLEY-IN-BLOOM I’m sure you will agree that Henley is looking lovely thanks to all the hard work our volunteers put in. We shall be having our annual street collection and produce/plant sale on 8th July by St. Johns Church. Please support our efforts and a big “Thank You” to those who have already contributed. 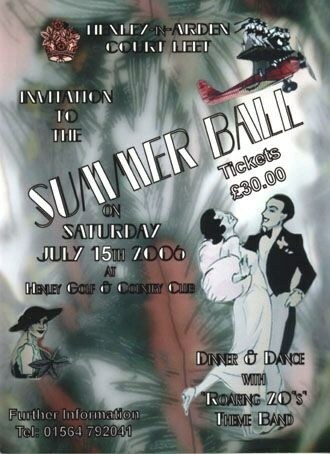 PARISH CHURCH SUMMER DANCE in the Church Hall, 8th July, 8 till late. Tickets £8.50 from the Rectory. 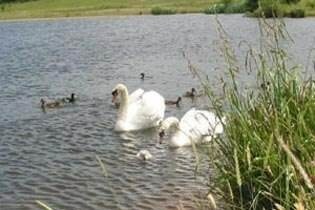 HENLEY WILDLIFE SOCIETY Another outdoor meeting is scheduled for Tuesday 18th July when we will be going for a Nature Walk. 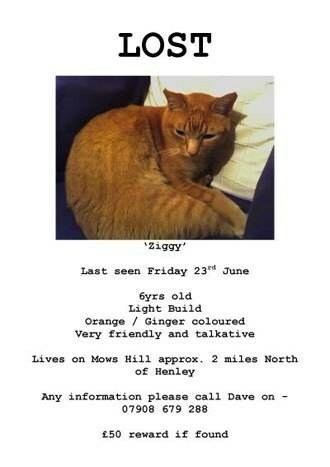 Please meet at the Market Cross at 6.30 p.m. Contact Secretary on 793373 if you need a lift. Visitors welcome £1. HENLEY FLOWER CLUB Workshop on 11th July has been cancelled. Saturday 29th July Annual Show and Competition at the Memorial Hall. SCOUT TROOP ‘Fantastic Family Fun Day’ is on Sunday September 3rd on Henley High schools playground and field. Open from 1pm to 6pm, this great fun afternoon will offer attractions for the whole family, from tiny tots to teenagers, and even grandparents! Attractions will include a number of great fun inflatables, such as a Bouncy Castle, Gladiator Challenge, Bungee run and Bouncy Slide, plus side stalls entertainment too. 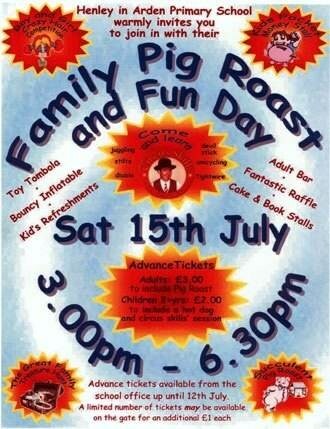 There will be a BBQ plus tombola, face painting and the like. Admission is free; there’s just a small charge at each of the attractions. HENLEY-in-ARDEN BOWLS CLUB meets on Monday evenings from April to September at 6.30pm and plays until it is dark. The club is situated next to the Tennis Courts at the Sports and Social club ground on the A34 just outside Henley. The Club welcome new members, whether beginners or established players. For further information contact John Townson 01564 792407.